A new perspective on the development of US bomber aircraft during World War 2, revealing how the intense combat pressures of the war accelerated the scientific and technological advances of aeronautics, propulsion. aircraft systems, avionics and ordnance. 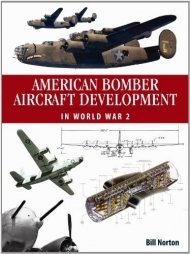 Packed with three-view drawings and rare photographs including a wide variety of little-known experimental aircraft.